In the last decade, there has been considerable growth in the knowledge base that is the foundation of neuromusculoskeletal rehabilitation. In particular, extensive focus has been placed upon identifying the neuromuscular mechanisms consistent with health and the specific alterations that underlie dysfunction. From this work, it has become evident that a primary impairment seen in dysfunctions such as chronic cervical, low back, and pelvic girdle pain is one of altered neuromuscular control as opposed to decreased strength or functional capacity1-5. Specifically, there appears to be a trend of evidence consistent with augmented activity of the superficial and diminished activity of the deep muscles of these regions1-8. Alongside the evidence, ultrasound imaging (UI) has emerged as a clinical tool to aid physical therapists in the detection and treatment of altered motor control9,10. However, as with all new tools, debate arises on issues of scope of practice, the specific role the new tool can play in the rehabilitation process, and its limitations. The scope of practice of physical therapy varies from jurisdiction to jurisdiction. The World Confederation of Physical Therapy11 has defined physical therapy as “…the assessment and treatment of neuromusculoskeletal and cardiorespiratory systems of the body by physical or mechanical means, for the purpose of maintenance or restoration of function, that has been impaired by injury or disease, for pain management and for the promotion of mobility and health…” This statement clearly verifies that the rehabilitation of movement dysfunction and specifically dysfunction of the neuromusculoskeletal system is within the scope of the physical therapy profession. It also confirms that a physical therapist is qualified to establish a physical therapy diagnosis, determine an individual’s movement potential, and plan and implement programs, using specialized knowledge, skills, and tools, for the prevention or treatment of movement dysfunction. UI is simply one potential tool and should be viewed as such in the same light as, say, a stethoscope. A variety of health care providers employ a stethoscope during their daily practice. Depending on the information sought, their unique area of training, and their level of knowledge, the tool is used differently. The uses of UI by physical therapists may vary depending on the jurisdiction, its specific licensing guidelines, and professional regulation. In a recent report to the College of Physical Therapists of British Columbia, Canada12, a generic definition regarding the use of UI by physical therapists that encompasses current clinical uses has been proposed. 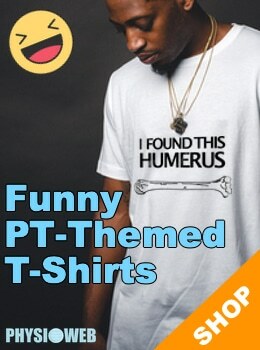 It includes “…applications that result in a physical diagnosis of the structure or movement characteristics of muscles and/or nerves in relation to adjacent structures…” At present, it is not within the scope of practice of North American physical therapists to make a medical diagnosis of altered tissue morphology based on the interpretation of imaging studies. Ultrasound imaging related to musculoskeletal rehabilitation has been ongoing since the 1980’s13, and investigation has established that it has a role as a safe, cost-effective (as opposed to the alternative of magnetic resonance imaging), and accessible method for visualizing and measuring the deep muscles of the trunk14-22. The value of UI from a rehabilitative perspective is that it allows for dynamic study (real-time images) of muscle groups as they contract. Consequently, the complementary use of UI can enhance the clinical analysis of the musculature system and has been advocated by various authors5,9,10,23-27. In addition to its clinical utility, numerous studies17,20-22,28-34 have shown that UI withstands scientific rigor when applied in a thoughtful manner and that it is both a valid and reliable method to ascertain muscle size (through static quantitative measurements of muscle width, length, depth, cross-sectional area, or volume) and hence can be used as an indicator of muscle activity. Ultimately the matter of using real-time ultrasound imaging (RTUS) to describe a muscle contraction is a complex issue. Although changes in static architectural measures tell a portion of the story, considered alone they primarily reflect muscle capacity. As the clinical and scientific interest in the musculature system is related to altered motor control, it is imperative that more encompassing methods of describing what is being seen on the ultrasound display are developed. Considering only the increase in an architectural measure of a muscle during a task is analogous to considering the maximal amount of EMG activity without taking into account timing or impact on other structures. Furthermore, the interpretation process is complicated by the fact that the amount of change seen in a muscle’s architecture (depth, width, and length) during a contraction does not necessarily represent the intensity or amount of actual muscle activity20,35. The potential for a discrepancy exists due to specific characteristics of the muscle under investigation, the nature and limitations of two-dimensional imaging (e.g., muscle contraction produces architectural changes in three dimensions as opposed to the two dimensions visible on an ultrasound display) as well as the potential for a change in muscle architecture due to the presence of a competing force on the muscle (e.g., protrusion and retraction of the abdominal contents during respiration may impact the architecture of the abdominal wall muscles28,35). Hence, it is critical for those who are new to the technology to realize that it takes time to accumulate the knowledge, and perfect the skills required for accurate interpretation and measurement. In the current environment of evidence-based practice and fiscal accountability, it is imperative that physical therapists be allowed access to the tools that will optimize the effectiveness of their interventions. However, as this opportunity arises, it is critical that we not only rise to defend the logical inclusion of UI in our scope of practice if challenged, but that we determine how this tool can best benefit our patients. Contiguous to this task is the responsibility associated with quality control, accreditation, and development of policies to ensure the safe and appropriate use of the technology by the members of our profession. Although the evidence supporting the clinical use of RTUS is only beginning to emerge, there is little doubt that it contributes previously unavailable and unrivaled information. Thus, it is my opinion that by incorporating the information available from RTUS with our existing diagnostic and management skills, thoughtful patient selection and as a component of a multi-modal treatment program, rehabilitation aimed at restoration of neuromuscular function is likely to be enhanced. Jull GA, Richardson CA. Motor control problems in patients with spinal pain: A new direction for therapeutic exercises. J Manipulative Physiol Ther 2000;23:115-117. Hodges PW, Moseley LG. Pain and motor control of the lumbopelvic region: Effect and possible mechanisms. J Electromyogr Kinesiol 2003;13:361-370. Falla D, Jull G, Hodges P W. Feedforward activity of the cervical flexor muscles during voluntary arm movements is delayed in chronic neck pain. Exp Brain Res 2004;157:43-48. Falla D, Bilenkij G, Jull G. Patients with chronic neck pain demonstrate altered patterns of muscle activation during performance of a functional upper limb task. Spine 2004;29:1436-1440. Richardson CA, Hodges PW, Hides JA. Therapeutic Exercise for Lumbopelvic Stabilization: A Motor Control Approach for the Treatment and Prevention of Low Back Pain. 2nd ed. Edinburgh, Scotland: Churchill Livingstone, 2004. Shirado O, Ito T, Kaneda K, Strax TE. Flexion-relaxation phenomenon in the back muscles. A comparative study between healthy subjects and patients with chronic low back pain. Am J Phys Med Rehabil 1995;74:139ñ144. Ng JKF, Richardson CA, Parnianpour M, Kippers V. EMG activity of trunk muscles and torque output during isometric axial rotation exertion: A comparison between back pain patients and matched controls. J Orthop Res 2002;20:112-121. Van Dieen JH, Cholewicki J, Radebold A. Trunk muscle recruitment patterns in patients with low back pain enhanced the stability of the lumbar spine. Spine 2003;28:834-841. Hides J, Richardson CA, Jull GA, Davies S. Ultrasound imaging in rehabilitation. Aust J Physiother 1995;41:187-193. Stokes M, Hiders J, Nassiri DK. Musculoskeletal ultrasound imaging: Diagnostic and treatment aid in rehabilitation. Phys Ther Rev 1997;2:73-92. WCPT World Confederation for Physical Therapy. Declaration of Principle and Position Statements. Available at: http://wcpt.org/common/docs/WCPTPolicies.pdf. Accessed January 11, 2006. Whittaker JL. Recommendations for the Implementation of Real Time Ultrasound Imaging in Physical Therapy Practice: The Final Report of a College of Physical Therapists of British Columbia, Canada Real Time Ultrasound Imaging Ad Hoc Committee. Vancouver, BC: CPTBC, 2004. Stokes M, Young A. Measurement of quadriceps cross-sectional area by ultrasonography: A description of the technique and its application in physiotherapy. Physiother Theory Pract 1986;2:31-36. Bernstein I, Juul N, Gronvall S et al. Pelvic floor muscle thickness measured by perineal ultrasonography. Scand J Nephrol 1991;137:S131-S133. Blaney F, English CS, Sawyer T. Sonographic measurement of diaphragmatic displacement during tidal breathing maneuvers: A reliability study. Aust J Physiother 1999;45:41-43. Bunce SM, Moore AP, Hough AD. M-mode ultrasound: A reliable measure of transversus abdominis thickness? Clin Biomech 2002;17:315-317. Kremkau FW. Diagnostic Ultrasound: Principles and Instruments. 6th ed. Philadelphia, PA: WB Saunders Company, 2002. Nyborg WL. 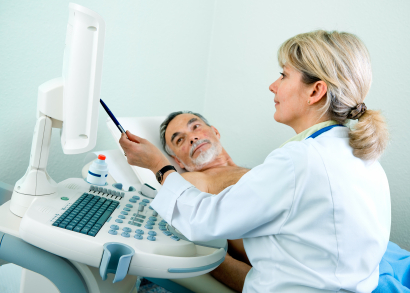 Safety of medical diagnostic ultrasound. Sem Ultrasound CT MR 2002;23:377-386. Hodges PW, Pengel LHM, Herbert RD, Gandevia SC. Measurement of muscle contraction with ultrasound imaging. Muscle Nerve 2003;27:682-692. Rankin G, Stokes M, Newham DJ. Size and shape of the posterior neck muscles measured by ultrasound imaging: Values in males and females of different ages. Man Ther 2005:10;108-115. Stokes M, Rankin G, Newham DJ. Ultrasound imaging of lumbar multifidus muscle: Normal reference ranges for measurements and practical guidance on the technique. Man Ther 2005;10:116-126. Kermode F. Benefits of utilizing real-time ultrasound imaging in the rehabilitation of the lumbar spine stabilizing muscles following low back injury in the elite athlete: A singe case study. Phys Ther Sport 2004;5:13-16. Whittaker JL. Abdominal ultrasound imaging of pelvic floor muscle function in individuals with low back pain. J Manual Manipulative Ther 2004;12:44-49. Whittaker JL. Real-time ultrasound analysis of local system function. In: Lee DG. The Pelvic Girdle: An Approach to the Examination and Treatment of the Lumbopelvic-Hip Region. 3rd ed. London, England: Churchill Livingstone, 2004. Whittaker JL. The Clinical Application of Ultrasound Imaging for Rehabilitation of the Lumbopelvic Region. London, England: Churchill Livingstone, (in press). Henry SM, Westervelt KC.The use of real-time ultrasound feedback in teaching abdominal hollowing exercises to healthy subjects. J Orthop Sports Phys Ther 2005;36:338-345. Whittaker JL. Ultrasound imaging characteristics of individuals with pelvic instability and concurrent respiratory dysfunction. Man Ther (submitted). DeTroyer A, Estenne M, Ninane V et al. Transversus abdominis muscle function in humans. J Appl Physiol 1990;68:1010-1016. Schaer GN, Perucchini D, Munz E, Peschers U, Koechli OR, Delancy JOL. Sonographic evaluation of the bladder neck in continent and stress-incontinent women. Obstet Gynecol 1999;93:412-416. Ferreira PH, Ferreira ML, Hodges PW. Changes in recruitment of the abdominal muscles in people with low back pain: Ultrasound measurement of muscle activity. Spine 2004;29:2560-2566. Bunce SM, Hough AD, Moore AP. Measurement of abdominal muscle thickness using M-mode ultrasound imaging during functional activities. Man Ther 2004;9:41-44. Thompson JA, OíSullivan PB, Briffa K, Neumann P, Court S. Assessment of pelvic floor movement using transabdominal and transperineal ultrasound. Int Urogynecol J 2005;16:285-292. Teyhan D, Miltenberger CE, Deiters HM et al. The use of ultrasound imaging of the abdominal drawing in maneuver in subjects with low back pain. J Orthop Sports Phys Ther 2005;35:346-355. Hodges PW. Ultrasound imaging in rehabilitation: Just a fad? J Orthop Sports Phys Ther 2005;35:333-337. This content appeared originally as a Guest Editorial in The Journal of Manual & Manipulative Therapy, Vol. 14 No. 2. Please see the web site for more quality articles.